Some of us know that Facebook decreased organic reach for brands sometime back in 2012. Brands are no longer able to reach all of their fans and getting new traffic from Facebook to your business page has gotten a lot harder. Recently, they’ve tweaked their algorithms to reduce reach even further. So why is this happening? The most likely reason is that the platform is experiencing content shock, meaning that there’s just too much of it. So to better manage user expectations and keep their network usable, they have to reduce organic traffic. In any case, it’s something worth mentioning that you should keep in mind. 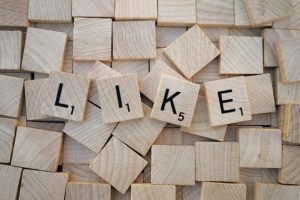 You probably have a Facebook business page and want to know how you can improve the level of engagement you currently receive. So let’s get right to it! Post daily and be consistent with it. Think of your brand page as a storefront or landing page. When people visit it, they’re looking for something. In other words, they secretly want you to give them a good reason to follow you. For instance, assuming you came across an IT company’s page? If all you saw was posts about their services, you’ll probably exit. But what if you saw something else? What if, what you saw was a variety of posts about useful things like how to remove viruses from your computer, excel tricks, how to speed up your PC etc. If you’re not a very tech-savvy person, it may be beneficial for you to follow them. The key is to focus on helping the target market. If you keep your posts focused on your ideal customer needs, you can reach the right audience organically. Try to post at least six times per day. It’s a non-spammy way of engaging your followers with delightful content. Publish content that others will find important and relevant. What’s currently happening in the news that people care about? Can it blend with your niche? Maybe you can share it on Facebook. When Mark Zuckerberg asked Facebook employees to stop defacing Black Lives Matter slogans, many smart companies shared this on their business page because it’s a hot topic capable of evoking emotions. Think of engagement as you would a cold call. You won’t move anyone from prospect to a client without hitting their emotional pain points. Most people buy emotionally! The same thing goes for user engagement on social media. You have to evoke the right emotions for people to engage with your content. Having the right title is a good place to start. Your headline is part of your delivery. Going back to our Mark Zuckerberg example, let’s look at two articles about the same topic but different delivery. The Guardian’ Title: “Mark Zuckerberg tells Facebook staff to stop defacing Black Lives Matter slogans”. Gizmodo’s Title: “Mark Zuckerberg Asks Racist Facebook Employees to Stop Crossing Out Black Lives Matter Slogans”. Follow businesses that complement yours or won’t be a conflict of interest. Then actively engage with their content. By doing so, you’ll be seen by their fans when you comment. As they see you on a regular basis, the hope is that they’ll want to know more about you and visit your page. If you don’t engage honestly, this tactic will not work. You need to be genuinely interested in these businesses too for flawless execution. Hashtags are great for growing your reach on social media. But they work better when you’re being deliberate. Before using any Hashtag, do some research on it. Search for it on Facebook to see some of the high-performing posts. This will give you some ideas on how you can frame your content for best engagement. Share opinions as your business on blogs that use Facebook comments. Some websites prefer using it because it prevents spam. 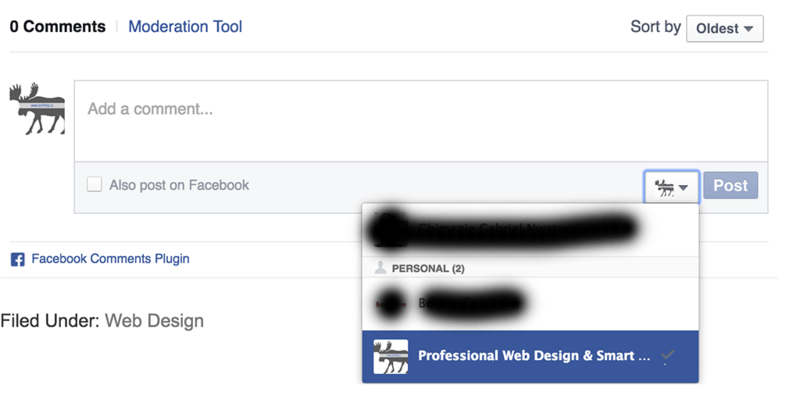 Use this to your advantage by communicating with your business page. To do this, in the comments box, click the drop-down menu located on the lower right of the box. Then select the page you want to use. Here’s a screenshot. Lastly, don’t spam because it never really works. Make sure you actually engage and publish relevant stuff. If your comment resonates with someone, they may visit your business page.